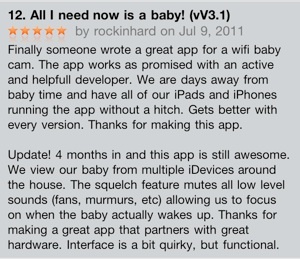 See & Hear your Baby, anywhere in the world ! 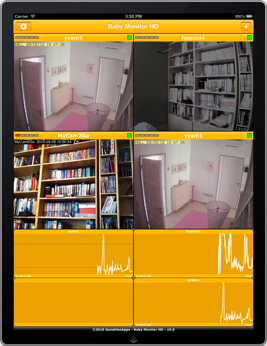 Founded in 2009, SunshineApps specializes in iOS Apps for IP Network Cameras. With a growing portfolio of highly rated Apps, sales into 70+ countries, and 8,000+ customers, they have plenty of experience in producing & supporting Quality Apps for Apple’s iPhone, iPad & iPod Touch. 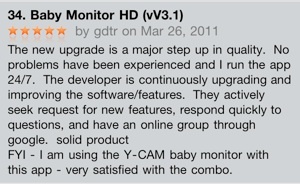 High Quality Digital Video & Audio Baby Monitor, running on your iPhone, iPad, iPod Touch, over WiFi or 3G. 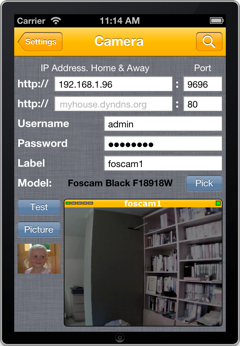 This means you can keep an eye on your baby from Home, Work or even during your travels! 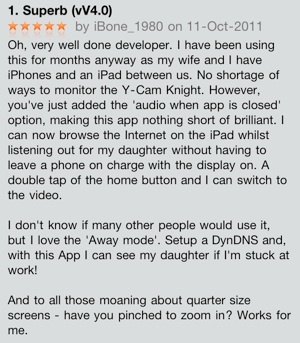 a fantastic app from SunshineApps that utilises all of the Y-cam features to make the ultimate baby monitoring app for iPhone. 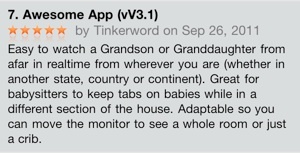 iPhone Baby Monitor & iPad Baby Monitor all in a single universal App! So the App can also be used on your other iOS devices at no extra cost! 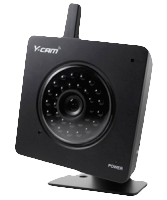 Simple setup, up to 4 Live Passworded Cameras with Concurrent Video & Audio, Audio Alerts, Background Audio & IR Night Mode. 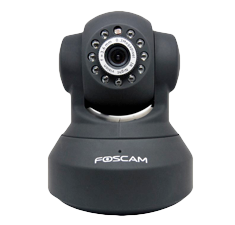 ✔ New: Listen to all cameras at the same time! ✔ Background Audio - use others Apps! ✔ NEW: Experimental Home/Away 'Auto' setting - walk out the house, and the app keeps running! ✔ The first company to produce such an App!